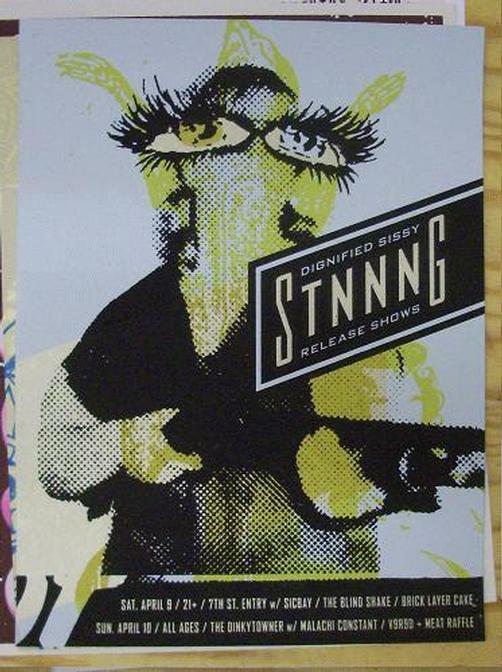 Original silkscreen concert poster for Stnnng at 7th Street Entry in Minneapolis, MN in 2005. 18 x 24 inches. Signed and numbered limited edition of only 125 Aesthetic Apparatus.